Goal setting. Goal setting. 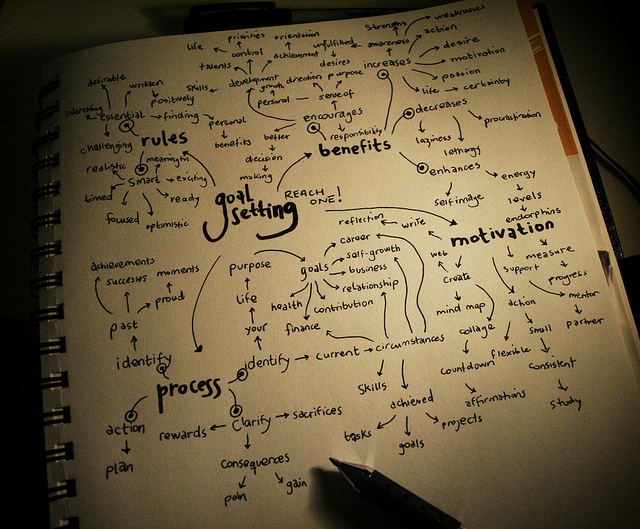 Goal setting… It sometimes seems like it’s all we ever hear people talking about. The problem has reached almost epidemic proportions with almost everything and anything that can be measured having goals and targets assigned to it. We see it everywhere. In our personal lives, at work, in sport, in local government, in public bodies and at a national level. The fact that many of these targets are meaningless or idiotic makes no difference, we have become hooked on goal setting. The problem stems back to 70’s and 80’s when increasing amounts of research began to be published that showed the positive benefits of setting goals compared to not setting goals. Check out the classic early work of Bandura and Simon 1977 with severely overweight people and see the huge improvements that were made by participants using goal setting techniques. This kind of evidence was followed by research from many different fields showing similar positive results. This all ‘proved’ the need for goal setting and it quickly became common practice. But then reality hit. Results didn’t always improve, targets were often missed and people become disillusioned. That fuelled a backlash towards goal setting but it was not goal setting that was the problem it was poorly set goals that was the problem. Too Many: When people have too many goals they tend to focus on which ones are the easiest or most like-able and lose sight of which ones are the most important. That shift in focus can derail the whole initiative. Too Specific: When goals become too specific people can get stuck in their attempts to reach that specific outcome and they lose sight of the overall objective. Goals should be set to serve the overall objective but should not become the dominate feature. Too Soon: Short-term goals create short-term thinking. Long-term strategies and focus are also required but there has been a dominance towards quick success and fast turn-arounds. The problem is that you don’t want to win the battle but lose the war. There is also evidence of many bad side-effects of poor goal setting, including lack of motivation, unethical behaviour and lower learning ability and procrastination (Ordonez et al. 2009). But we mustn’t let this negativity cause us to abandon goal setting because we know it can work very well. There is little doubt that goal setting can improve performance but it is essential we use them in the right way and at the right time. If you liked this article on Goal Setting then please share it with your friends and check out our other blog articles for more tips and advice. ← Expectations vs. Reality: how to create a better outlook.